Sunday morning I stayed home to care for Little One who was up half the night sick. Poor sweetheart! After church Jason stopped by the store to grab her medicine, then swung by and picked up my favorite chinese takeout for our lunch. He is such a thoughtful daddy and husband. I am so very grateful! That evening I got sick with round two of this stomach bug myself. Yes, I was the first of the four of us to have this, just a few weeks back! This time around was rougher than the first, which made me feel even more sad for my girls who'd taken turns fighting it over the past couple weeks. Jason followed after his three favorite ladies, waking ill on Monday morning. We're all on the mend now and will hopefully leave this yuckiness behind us completely soon. However, the thoughtfulness and love shown to us during this time will be long remembered! My parents are always eager to help in any way possible. This week it came in the form of edible gifts. They fully stocked us with groceries! What a helpful surprise that truly was when both Jason and I were sick at the same time! Those grocery sacks included things like soups, crackers, sparkling water, and Sierra Mist for Jason and I while down, as well as an abundance of yummy snacks and easy to prep meals for our girlies. It was so helpful, incredibly thoughtful, and appreciated beyond what I can even articulate! Thanks again, mom & dad! If you know someone who's under the weather, preparing a meal or a picking up a sack of groceries to leave on their doorstep would surely bless them too! Next Up: Kate Spade Goodies! As many of you know, online bargain hunting is my favorite sport! Sometimes it actually pays in the form of cash back from sites/apps like Ebates. I decided to take my "Big Fat (Ebates) Check" to the Kate Spade Friends & Family Sale last weekend. I found two fabulous items to spend my bargain "earnings" on! With the help of a 25% off code and free shipping, I spent less than my Ebates return. Not even a dime came out of our personal budget! 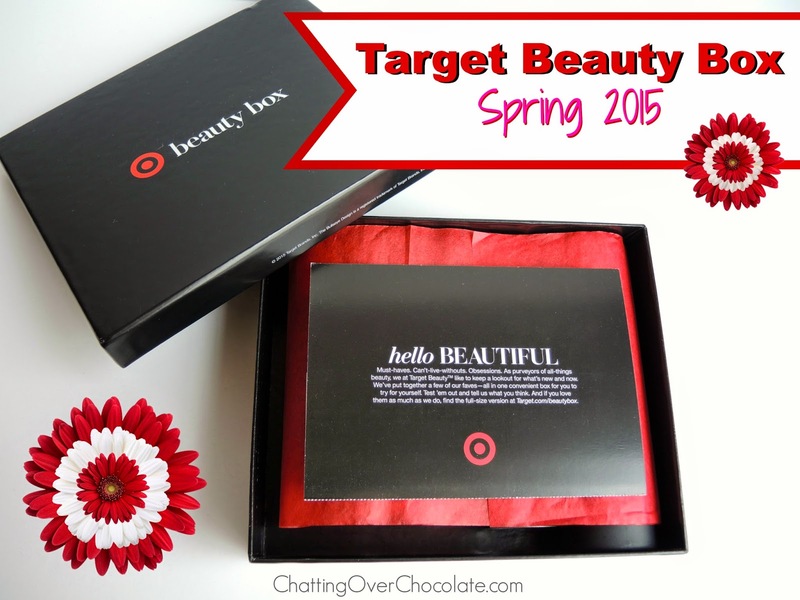 HOORAY for fabulous (basically) free goodies! There's just something about opening a box with its contents neatly tucked inside gorgeous tissue paper that can make any day feel like a birthday! Cheers to being more motivated than ever to stay hydrated with my new glass water bottle! Ever since I was a little girl I've always loved pink and red together. I adore this color combo in my new beverage buddy! 4. Best Excuse for Chocolate EVER! I'm guessing this is true for me because chocolate is my sweet spot. 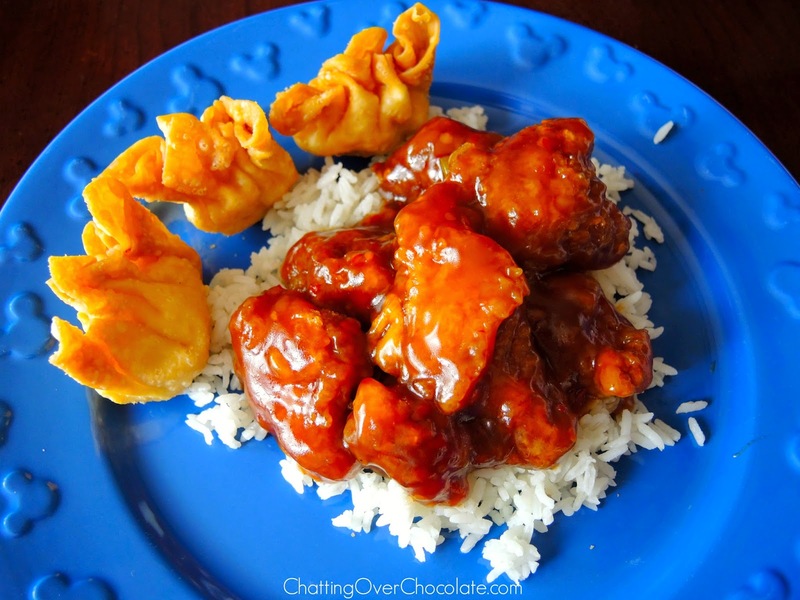 It doesn't take much to satisfy that craving, yet curbs my temptation for other junk food. In any case, I'm happy to hear that a chocolate a day keeps extra calories away! 5. Full House Reboot // Fuller House! They're coming back!!! Well, at least some of them are! Fuller House will start as a one-hour reunion special, continuing on as a spin off. This 13-episode revival series is set to hit Netflix in 2016. The show will revolve around recently widowed D.J. (now "D.J. Tanner-Fuller"), who grew up to be a mother and veterinarian. She's mom to two boys, with another little one on the way. Her sons are described as a rebellious 12 year old named J.D., and neurotic 7 year old, Max. After the loss of her spouse, a relative and old friend move in to help out. Hmm... that scenario sounds a bit familiar, doesn't it? ;) Who's coming to give her that support? Her old BFF, Kimmy, along with her "feisty" teenage daughter Ramona will be there. That pair is bound to bring a lit'l quirkiness back into the mix! Rounding out the adult trio will be the middle Tanner child, aspiring musician, Stephanie. Still no word if the Olsen twins will return for this spin off. If so, who do you think will play Michelle? Perhaps they'd tag team it like the good ol' days? Wanna take a trip down a San Francisco Memory Lane? Are you tickled pink about this news for a spin off? What other television show would you love to see a revival of? Thanks so much for visiting today! Have a lovely weekend, sweet friends! So sorry ya'll have been sick..that's just the worst! I'm SUPER excited about the Full House spinoff yay!!!!!! SO pumped for Fuller House!! I hope it's good. Have you watched the Boy Meets World spinoff at all with your girls?? It's actually kind of cute! 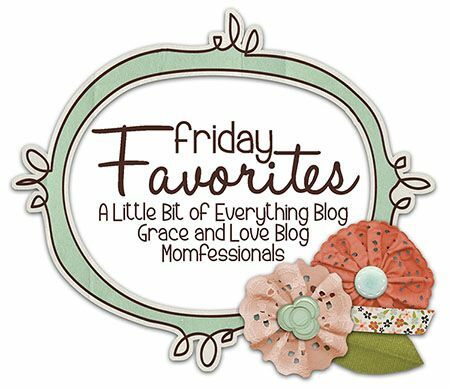 I LOVE your Kate Spade goodies, too, especially that little gold book. Have a great weekend, Brenda! 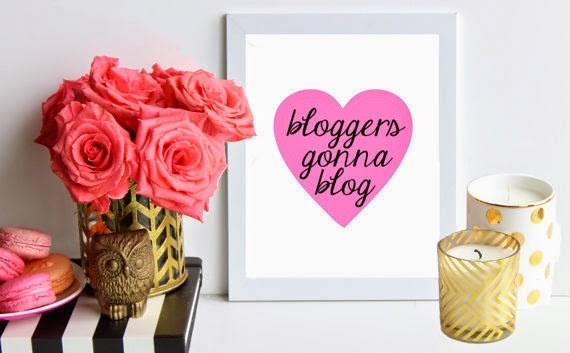 Love that "bloggers gonna blog" print! I need that for my office! Of course then I'd be humming "Shake it off" all day. Ha. I'm sorry you all have been sick! Hopefully the worst is over and everyone will be feeling better next week! My very conservative parents deprived me of Full House growing up, so I'm not even totally sure which one is DJ. Ha. So sorry to hear you all have been so sick lately! Glad you guys are on the mend. So excited to hear about the Full House spin off!! I would love to watch that! 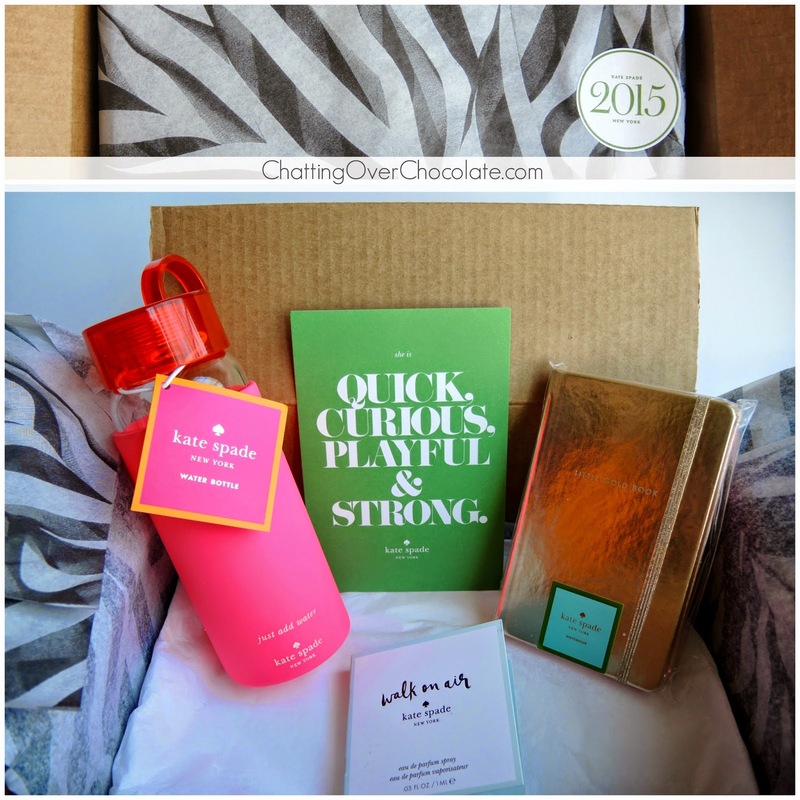 chocolate a day keeps extra calories away = best part of the post ha that app sounds so cool ! Loving the new KS water bottle! And chocolate every day sounds like a great way to keep in check. You are esp right that it only takes a little. But oh man what a bummer about the rounds of the bug hitting everybody. I hope it is gone for good with this mending. Glad you all are feeling better after a week of the bug. Not fun at all. Happy to hear about the Full House Spinoff too. It was my favorite Friday night show when it was on. I hope that you all have a wonderful weekend. That water bottle is awesome!! I love the color combo too. Glad you are feeling better. Nothing worse than a sick child unless it's a sick parent taking care of a sick child. :( I'm super excited about Fuller House too. So glad to hear you're on the mend. That Kate Spade notebook is beautiful. And I'd love to know that chocolate makes me eat less. Sorry to hear you've been sick, but glad to hear everyone's on the mend! Those Kate Spade goodies are too cute:) Also, I missed out on the Target Beauty Box this time and it made me so sad:( I love those little things! 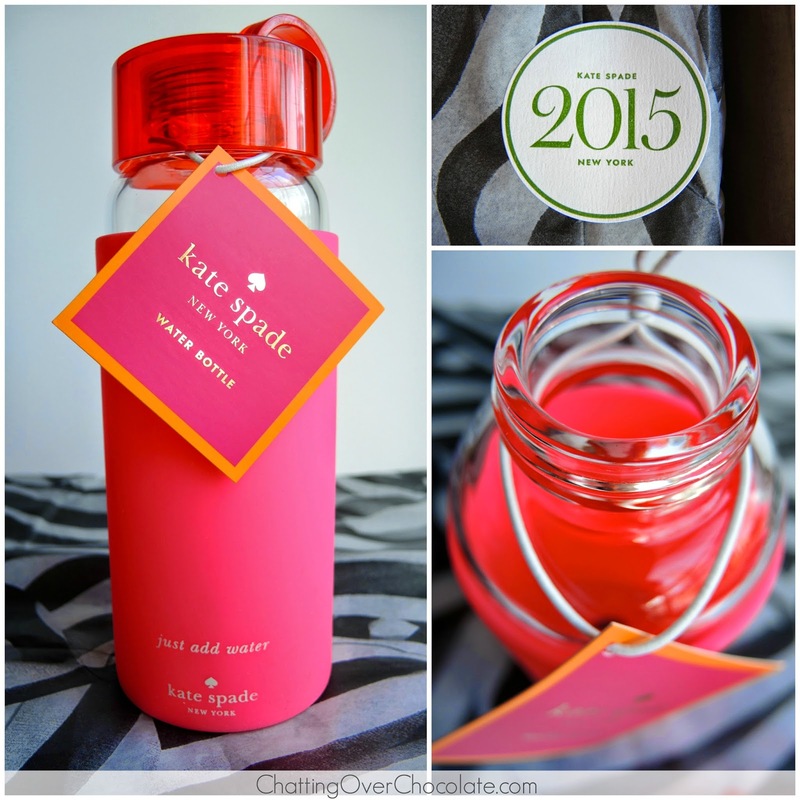 Your Kate Spade goodies are adorable! Good to know that eating chocolate helps you eat less! Glad everyone is feeling better! 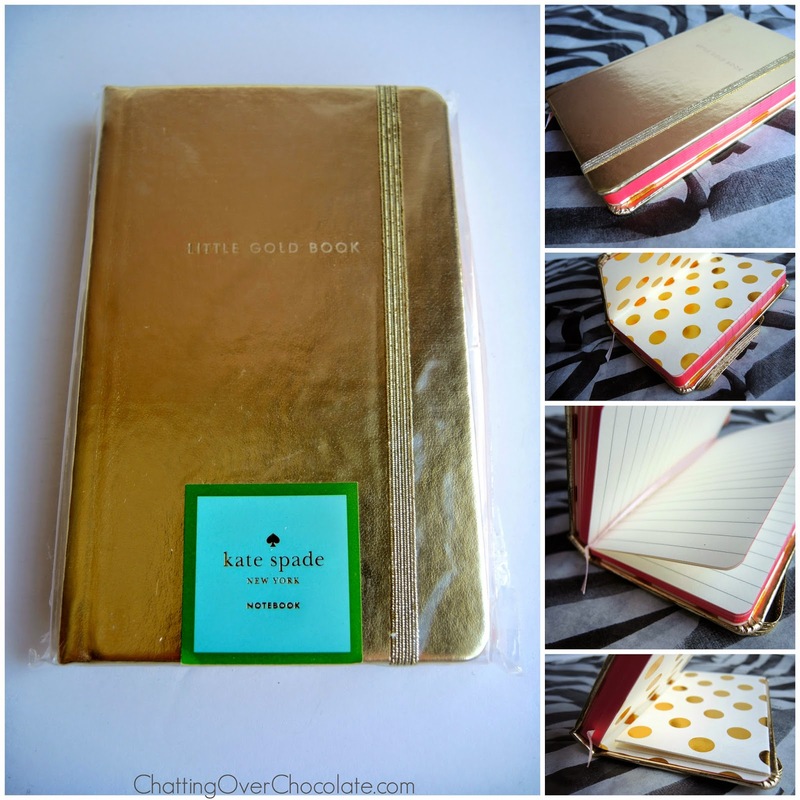 I LOVE the Little Gold Book, how darling? And fashion-forward:). Another excuse for chocolate! It's like the app gets ya:). 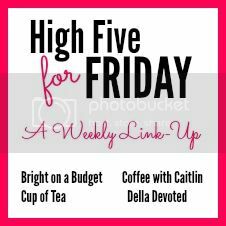 Hopped over from the linkup, have a great weekend! Hope you all are bouncing back now! That Kate Spade notebook is so cute. I'd hate to write in it. I love fun notebooks and stationary. Making lists is so much fun in them. And I've been really excited about the Fuller House news!! YAY! 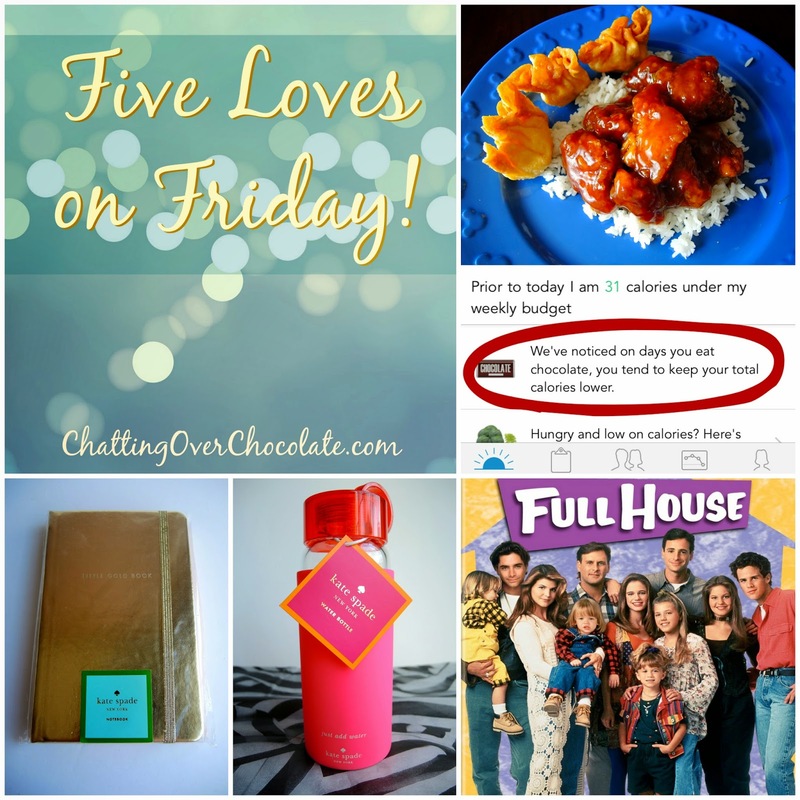 Hope you're having a great weekend, and thanks for linking up again at H54F! 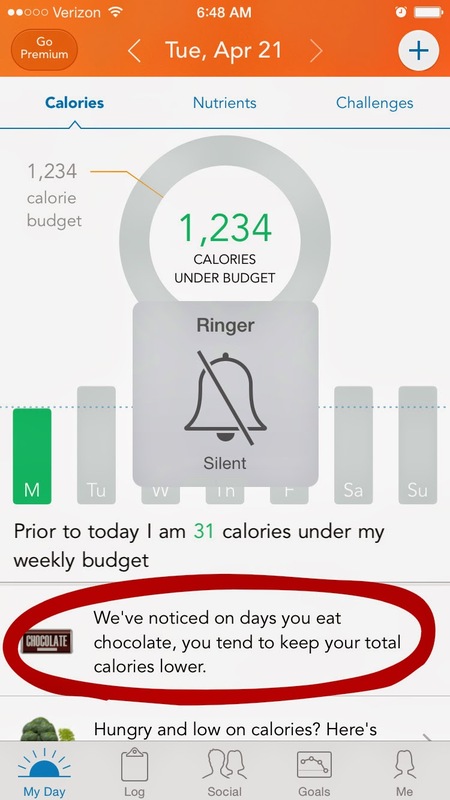 I'm loving the Lose It App gave you that pop up note! Too funny. Hey....whatever works! Love your Kate Spade goodies!!! Hope you're feeling better! Love love love your Kate Spade purchases. I've been wanting a KS journal and I really love glass water bottles. That one is beautiful! 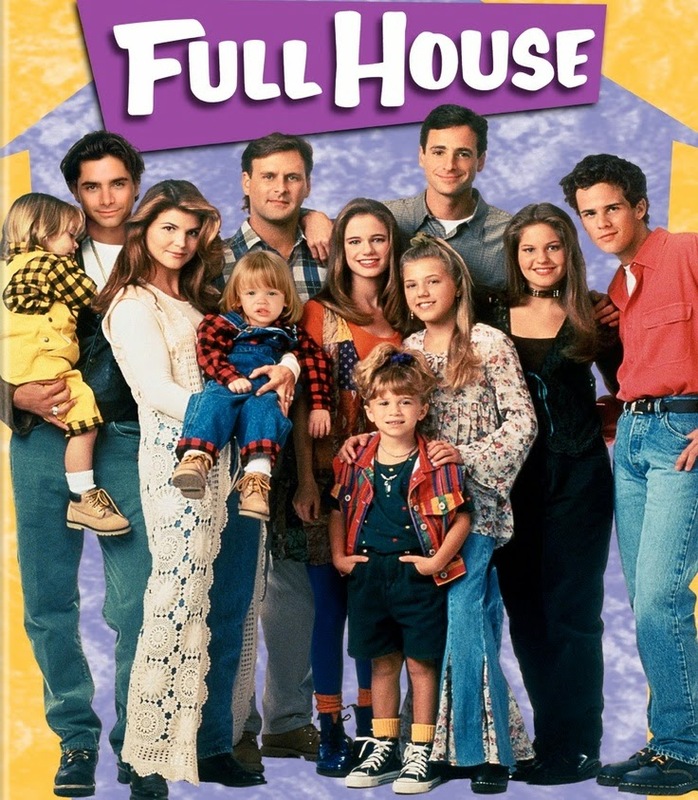 I heard about the Fuller House thing on Netflix. I can't wait to watch it - totally nostalgic for me. I LOVED it growing up. I heard the Olsen twins may not do it. We'll see. I don't know if they could tag team it...they look kind of different now I think. We'll see!